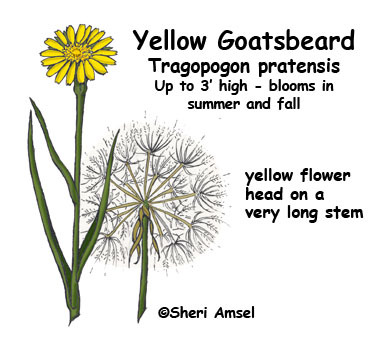 They bloom in summer and fall along roadsides and in fields. 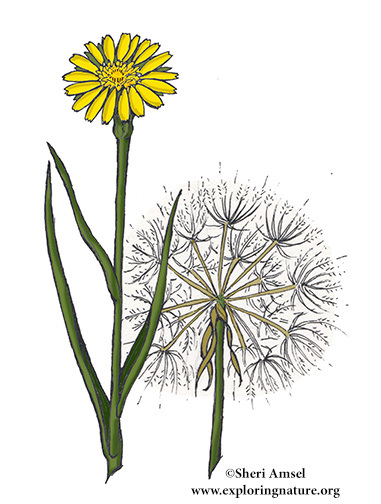 Yellow flower head looks similar to a dandelion on a very long stem. The long, thin leaves wrap around the stem at the base and look like big blades of grass. Flowers close midday.